Being that I realized I need to update (and add) the interpretation pages as many of them don’t have CBCT examples or information. I thought I’d start with something I come across nearly every week – tonsiliths. 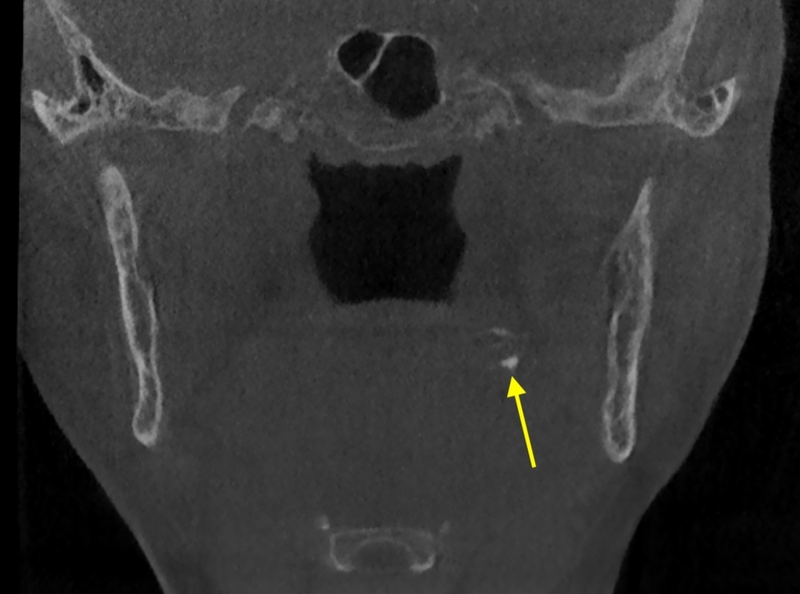 This week I have two cases of tonsiliths seen on CBCT. Tonsiliths are best visualized on axial and coronal views to help determine the location of the calcifications. Sagittal views are tricky as they make it more difficult to see the exact location in relation to the airway and mandible. 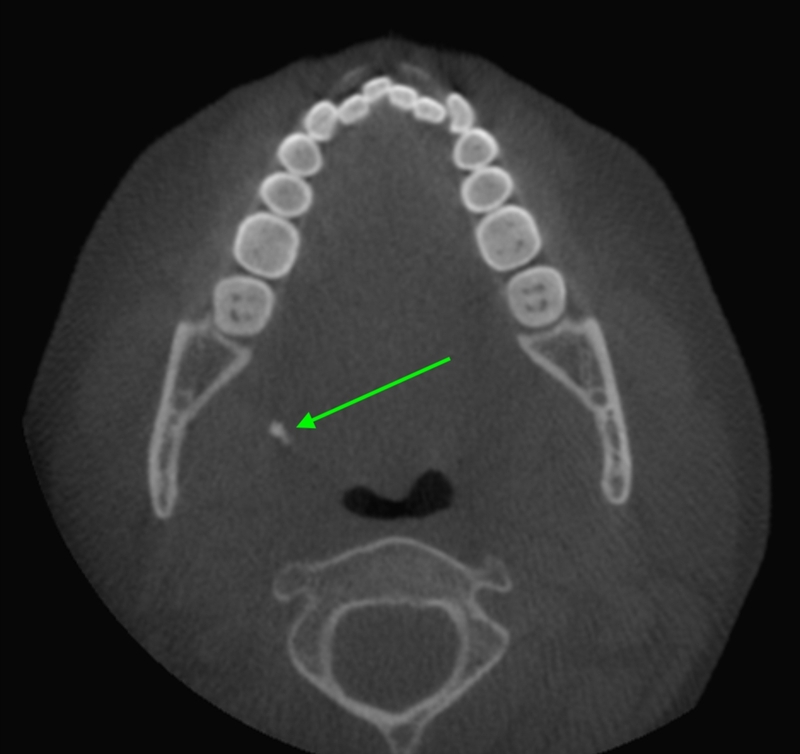 To determine a calcification is a tonsilith note it’s location in relation to the airway (lateral to it) and ramus of the mandible (medial to it).